Key Difference: The iPod Touch and iPhone are quite similar in their functions. They are so similar that the iPod Touch has often been referred to as an iPhone without the phone, referencing the point that the iPod cannot be used to make phone calls. The iPod Touch and the iPhone are different products by the multinational company, Apple Inc. Before the craze that is the iPhones came along, Apple was famous for another of its products: the iPod. The original iPod was launched in 2001, quite a bit sooner than the iPhones came around. The iPod touch was revolutionary at the time. Even though it was primarily an MP3 player, it offered a multitude of other features, which have been built upon in the next iterations. In addition to a music player, the iPod could be used as a video player, digital camera, handheld game device, and personal digital assistant (PDA). This original iPod was eventually labeled as the iPod Classic, which was then followed by with the iPod Touch and iPod Mini. This was around the same time that the next revolutionary device was launched by Apple: the iconic iPhone. The iPhone was first launched on June 29, 2007, while the iPod Touch was launched on September 5, 2007. The two devices are quite similar in their functions; both can be used to listen to music, watch videos, play games, surf the internet, take photos, FaceTime, etc. 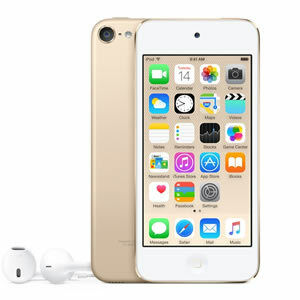 The devices are so similar in their function that the iPod Touch has often been referred to as an iPhone without the phone, referencing the point that the iPod cannot be used to make phone calls, as it does not support cellular technology. Additionally, the iPhone is generally bigger and bulkier than the iPod Touch as it definitely has more features that tend to take more space within the device. Basically, the iPhone can do nearly everything that an iPod Touch can do, while there are some things that the iPhone can do, but the iPod cannot, such as make phone calls, send SMS, etc. However, due to this the iPhones are generally quite a bit more expensive than the iPod Touch. The iPhone also tend to have a larger screen as compared to the iPod Touch. For example, the iPhone 7 has a 4.7-inch widescreen Retina display, while the iPod Touch has a 4-inch widescreen Retina display. The iPhones also tend to have a faster processor with better graphics, whereas the most recent generation of an iPod tends to have a processor and graphics that are comparable to an older model of an iPhone. 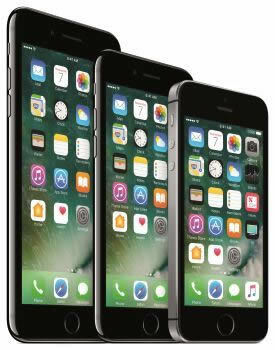 For example: the iPhone 7 has a A10 Fusion 64bit chip processor with an embedded M10 motion coprocessor, whereas the iPod Touch has the A8 64bit chip processor with the M8 motion coprocessor, similar to the older iPhone 6. The iPhone also has a better camera and a longer lasting battery than the iPod Touch. So, in short, other than the fact that the iPhone has phone capabilities, such as making calls, sending SMS, using 3G, 4G and LTE services, etc., the two are nearly the same. However, the iPod touch is smaller and lighter than an iPhone, as well as being cheaper. It can be said that the iPod Touch is a scaled down version of an iPhone.